I'm writing you about your ACC-1H70 camera module. I wish to develop my own card with your ACC-1H70 and your Inforce 6601 module. 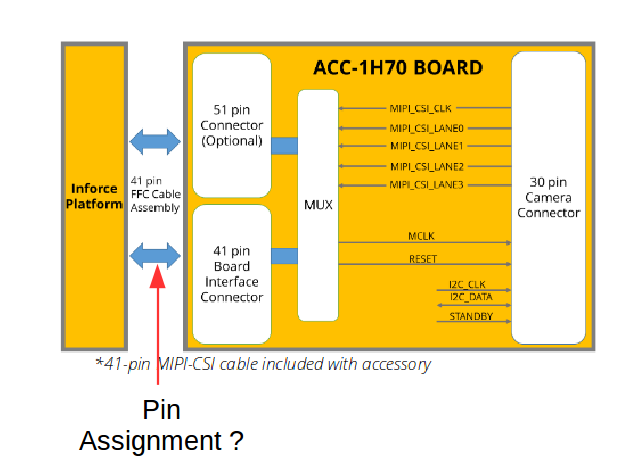 Except, I didn't find the pin assignment of the connector : "41 pin board Interface Connector". The information you seek is available in the User Guide for the ACC-1H70 which is available on our Techweb repository. Please logon to https://www.inforcecomputing.com/techweb/ and choose 'Accessories' from the drop-down product list from the 'TECH DOCS' tab.